Please contact Kathy Major, executive director of communications for NSM, at 713-743-4023 or ksmajor@uh.edu to submit news items for consideration. Advance notice regarding upcoming news items is encouraged and appreciated to give us sufficient opportunity to report on it in a timely fashion. 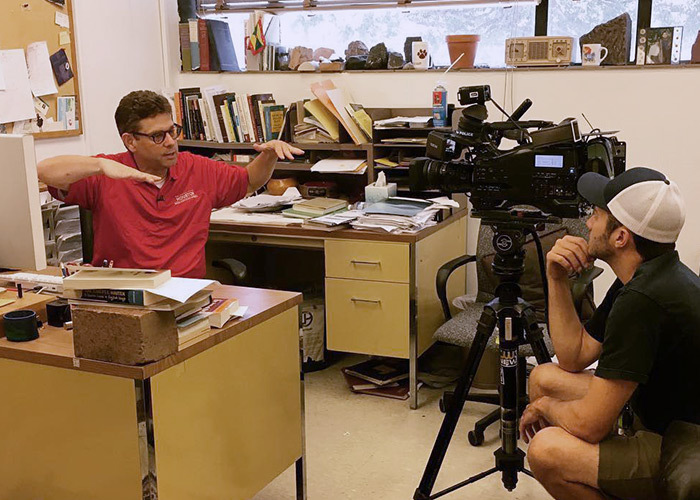 Examples of news items include noteworthy achievements by faculty and students, new research grants, upcoming or recent journal publications, UH scientific symposiums/conferences, scientific breakthroughs, and interesting collaborations. Professional headshots, for use on websites and social media (Google, LinkedIn, etc. ), are available at no charge to College of Natural Sciences & Mathematics faculty, staff, and students. To arrange to have your headshot taken, please make an appointment with Chris Watts (cwatts@central.uh.edu). NSM offers a stock photo gallery, featuring photos of NSM faculty and students engaging in classroom and research activities, as well as NSM facilities. These photos are available for use by college personnel in online media (websites, social media, etc.). If you require print-resolution copies of any availalbe photos, please contact Chris Watts (cwatts@central.uh.edu). In collaboration with the Office of University Media Relations, NSM will work to place news internally and externally. NSM and UH Media Relations will strategize appropriate formats, targets and news vehicles to provide the best plan for each individual news item.